dogrocketp, Boogie, ScottR and 3 others like this. dogrocketp and ScottR like this. I got the grandad to all of this in 2018. Now I want a grandkid! dogrocketp, Boogie, bodia and 8 others like this. Boogie, Alnus Rubra and Tonart like this. g.wizz, bodia and ScottR like this. 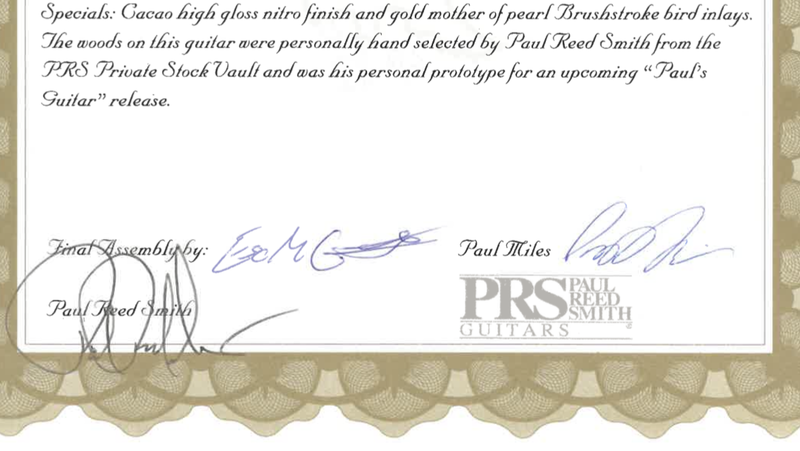 Someone posted that they would like to see a SE McCarty and PRS replied “A PRS SE McCarty? Hmmm...” I bet you something is in the works. BMiller and Lister like this. I was all set to ignore this model, then I listened to Brian Ewald's demo. Not fair! Now I want one! ScottR and shimmilou like this. g.wizz, bodia, dogrocketp and 1 other person like this. ScottR, bodia and dogrocketp like this. Why can't you do a Core-type carve? Um, why not just buy yourself a core model? Why the non-adjustable stoptail? Because that's what Paul likes, and it's "Paul's Guitar"! Why no stainless steel frets? Because PRS doesn't do that. Why no lefties? OK, that is legit, I suppose. But the market has to have real demand, not just a bunch of folks saying "I might buy one", and PRS has released a bunch of lefty SEs recently, so market might be saturated at the moment. Its like those people that want a PS5 with a GTX2080Ti beating GPU, an i9 beating CPU, 18GB HBM2 type memory, 2TB+ SSD HDD, a 4k HDR Bluray Player, Full Backwards Compatibility, Silent running, HDMI 2.1 with Dolby Atmos, Dolby Vision etc all for $400. People want a Core PRS for SE money - it ain't gonna happen!! g.wizz, Wakester, Ovibos and 1 other person like this. The pictures on the Sweetwater site show the Amber and Red both have the red stained backs/necks and can still see the wood, and only the Blue has the dark back. Well I guess I could do that...one question...should I take my Private Jet, my Bentley or one of my Ferraris. Ya gotta remember man..I am the token poor dude amongst all of you Doctors & Lawyers...I think there's a law or somethin, they gotta let at least one of us in here. Just keep that between us though. Matte82, Wakester, dogrocketp and 1 other person like this. 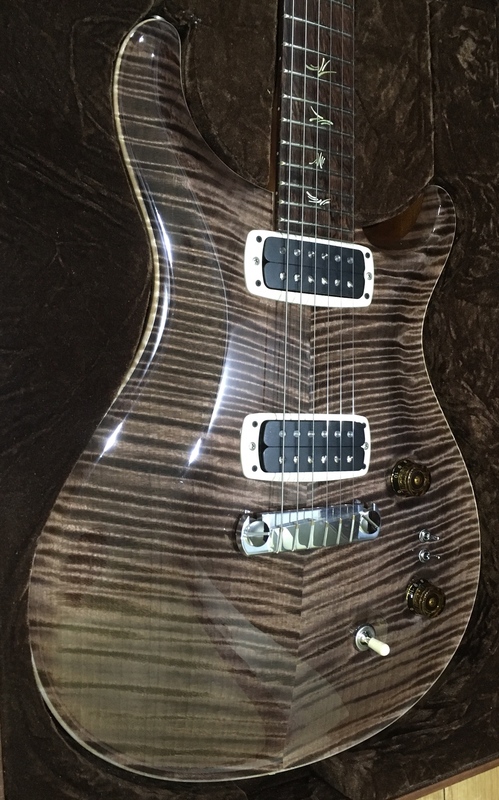 What's the difference between this model and the SE Custom 24. I'm looking to get my 1st PRS and a newbie player! As a new player, some of the details may not matter so much and it maybe better to go for a Pauls Guitar so you don't have a trem to worry about and can develop your bending and vibrato skills first. You probably don't need 24 frets either. The neck is chunkier on the Pauls (I believe) so you may want to see if it feels comfortable. At the end of the day though, the guitar that inspires you most, makes you want to pick up and play/practice is most important. If you find the Custom 24 is more comfortable and makes you want to keep playing, that's the best guitar to go for. Dead&Co and dogrocketp like this. Anybody see this model at NAMM and know if it's thicker than the SE Custom lineup? McCarty Thickness would be nice. Matte82, Tim S, justjoshin and 1 other person like this.